Have you ever heard the phrase natural hair ain’t for everybody? Well, if you’re like me, that might’ve made you feel some type of way. The same way you might feel if you get a little disappointed when you’re scrolling through Pinterest and all of the adorable hairstyles are for every texture but yours. 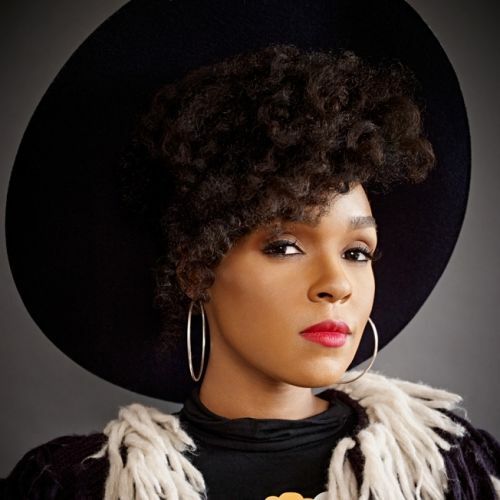 Why can’t I get my twist out to look like hers, or what can I do to stretch my curls for more length like that? Curl insecurity is not exclusively your skeleton in the closet, girlfriend. It happens to all of us. The Natural Hair Movement is all about positivity and black joy, but sometimes we too can be guilty of promoting unhealthy standards and comparisons when we should just be celebrating ourselves as we naturally are. It took me a while to come back to that. This is my story about figuring out what natural hair means to me. I have been natural for about 7 years now. 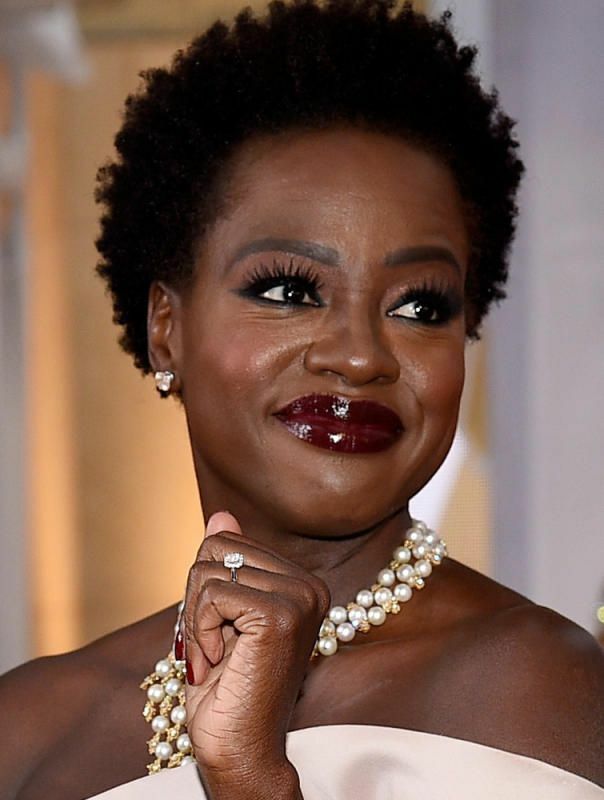 Most of our favorite naturalistas have fabulous stories about when they first became natural, and some women ever celebrate with naturalversary parties! But even if you aren’t on that extreme, you probably do remember when you first decided to join the club. When I first transitioned, I was a college junior, and I wish I could tell you I had glamorous reasons to do so. I was broke, and perms every two weeks were hitting my pockets. I had just become a member of a sorority, and a lot of my new sisters had beautiful natural hair. I wanted to go swimming more over the summer. Any of those would do. But I do remember choosing to transition over The Big Chop because I was afraid of what people would think of me. That’s the moment my curl insecurity began to show. I started asking questions like What if my head is too big? What if it never grows back? What if someone thinks I look like a boy? At the time, all of those things mattered. I doubted almost every part of my transition. Until, I finally started ditching the what ifs and embracing the beauty and spontaneity my hair gave me every day. What Do I Love Most About My Natural Hair? I love that being natural to me means listening to what my hair needs from me. My natural hair indeed does have a mind of its own. Still, when I really started to love my curls, it was because I realized my hair was in its element. When it was humid, it frizzed. When it rained, it thrived. When it was scorching hot, it was super thirsty. I couldn’t ignore what my hair needed just because I wanted to rock a cute look. 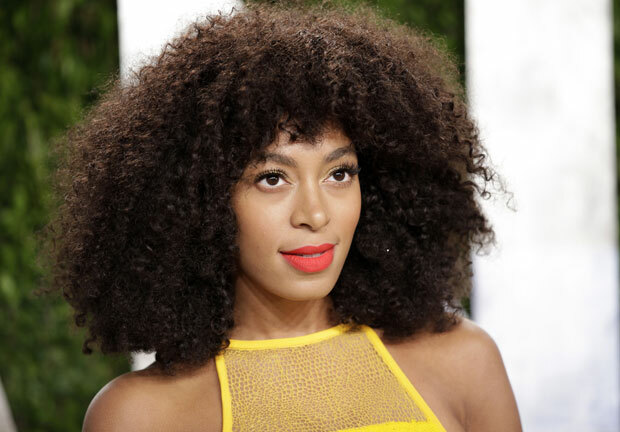 At the end of the day, your curls should be as strong and vibrant as your look. Adding one or two steps to your routine to keep your natural hair healthy and happy won’t even take too long. Finding a moisturizer that fits your unique hair type can be super easy. Massaging your scalp feels great, and it stimulates growth. Covering curls with a satin bonnet EVERY NIGHT will save a life! Listening to my hair, and what it needs is my favorite part about being natural. When I want to rock a wash and go, I can give my hair a nice little refreshing start over. When I want to prolong a blowout, I can rock a gentle protective style. I didn’t learn my haircare rituals overnight. It took me almost as long to find a wonderful moisturizer as it did for me to transition! Listening to my hair, and not being ruled by it have been wonderful for me. My reasons for loving my natural hair may be similar or even completely different from yours, but we’ve got one thing in common: the love for our curls is strong. 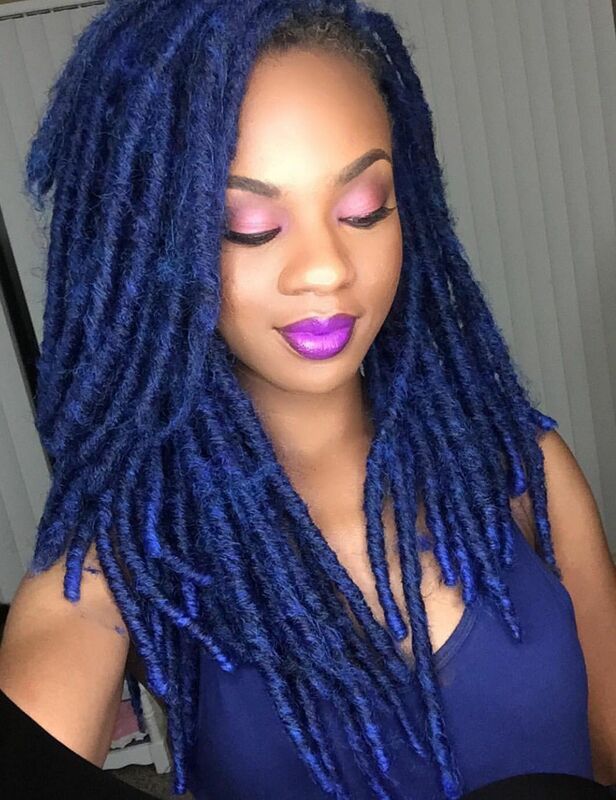 What Tips Do I Have For People Thinking About Going Natural? My first tip is to completely ignore anyone who says natural ain’t for everybody. Of course it is; being natural just means you are being who and what you naturally are. 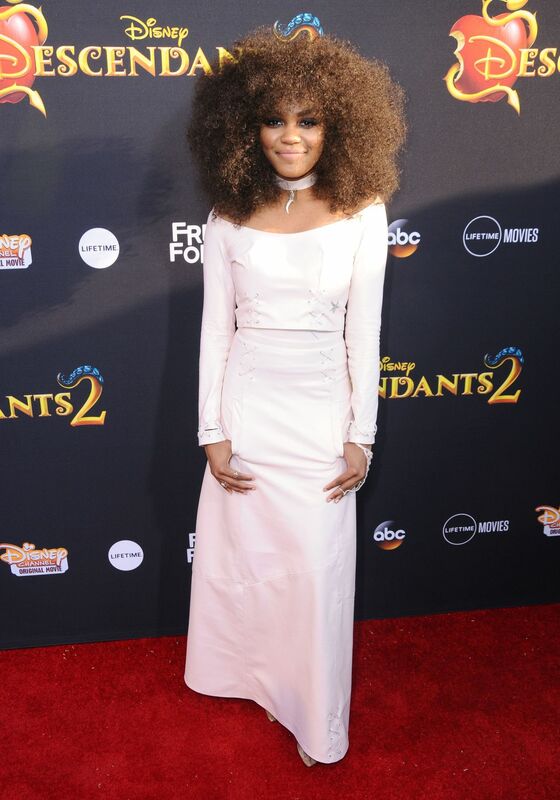 No matter what your curl pattern is, or how fast you get and retain length, your hair should be your crown. And crowns do not come one size fits all! My second tip is to find hair care products, hair stylists, routines, protective wear, hair tools, and styles that match your personality and individual hair needs. Being natural can make life spontaneous and fun.. Don’t make routines and treatments into work. Everytime I deep condition, I celebrate my curls! In the end, natural hair means so much to me. I celebrate each year–minus the naturalversary party–and I love every moment of it! What does natural hair mean to you? Let us know in the comments section. Black Hair Spot is the number one place to ask all your burning questions about black hair. We are a community of women dedicated to educating, entertaining, engaging, equipping, and empowering women to love their hair as much as we love ours! To learn more about us, contact us! If you’ve ever met a celebrity, you’ll know you can get a little swayed by their ideals. Well, that was how my natural hair journey began. The celebrity was Stokely Carmichael from the civil rights movement – one of the original fist raisers. During my years in a white college preparatory school, my self esteem was shot. I spent a lot of tearful nights with my studies. It seemed the curriculum in Chicago’s inner city, where I’m from, was very different from the curriculum where the cream of the crop were educated. Even though I had graduated from middle school at the top of my class, I had learned no geography, and I was missing half of what was required for English composition class. My level of math was also very, very basic. Being subpar was gruelling for me. As an avid reader, books brought me relief from school.. And that was how Mr. Carmichael and I first met, in a manner of speaking, in the tiny library of that elite prep. school. And why was a collection of speeches by Stokely Carmichael sitting on their upper crust library shelves? I still don’t know. But the library became my retreat, on almost every break. It’s where, thanks to brother Stokely, I furtively quenched my thirst for knowledge, sans pressure. To do so, I would hide in one of the six small aisles of library books. I wondered what my peers would think of my reading choice. It felt risky, but in my mind, it was a risk worth taking for so many ideas and ideals, so much logic and so very many semicolons. I was amazed. Who was this outspoken black man? I didn’t come out of the library a socialist, or any kind of follower. But it was intriguing to me, as a youth, to discover how far Stokely Carmichael’s knowledge spanned, what his reasoning was, and how many different cultures he was familiar with. I only knew two cultures, black and white. I wasn’t “black enough” for the less than 1% of African Americans at the school – meaning I wasn’t willing to isolate myself with them. So my friends ended up being white. So what would my friends say if they knew I was reading Stokely Carmichael’s work? The answer I arrived at during my last months there was that it didn’t matter. While home on vacation, my mother said she was taking me to a pan-African meeting. I wasn’t enthused. It would be the same restrictive rhetoric about who, and who wasn’t, African enough. But when she told me Stokely Carmichael would be there… I went. When I stepped up to meet Mr. Carmichael after his talk, I tried to stand taller, but I was wondering if I could somehow ditch my damning prep. school accent in a hurry. I settled on being myself. I knew I didn’t have to wear my hair natural. And I wasn’t trying to cut it to suit the ideals of a stranger, however famous. Doing so would put me in the category of “groupie,” right? Ugh! My mother was already telling me to think twice before cutting my hair. But what he said was only a reminder of my own principles. It didn’t matter what everyone would think. It really would be better for me to wear my hair the way it was created. Not out of defiance, but because of my own values: the acceptance of truth and the unwillingness to be false. That is what it meant, to me, to have natural hair. Keeping my natural texture meant the same thing as not lightening my skin color, no matter who loved or hated it. It meant being confident enough to fit in anywhere I wanted to, exactly as I was. It meant challenging the narrow mindedness of others just by being present. I continued, taking what I believed would be the equal reactions of family, friends and peers, and weighing those reactions against my own self-perception. Which was more important? I ended the counter advocacy by grabbing the scissors and quickly cutting off every lock. Did you do any soul searching before embarking on your natural hair journey? I’d so love to hear about it. Share in the comments below! 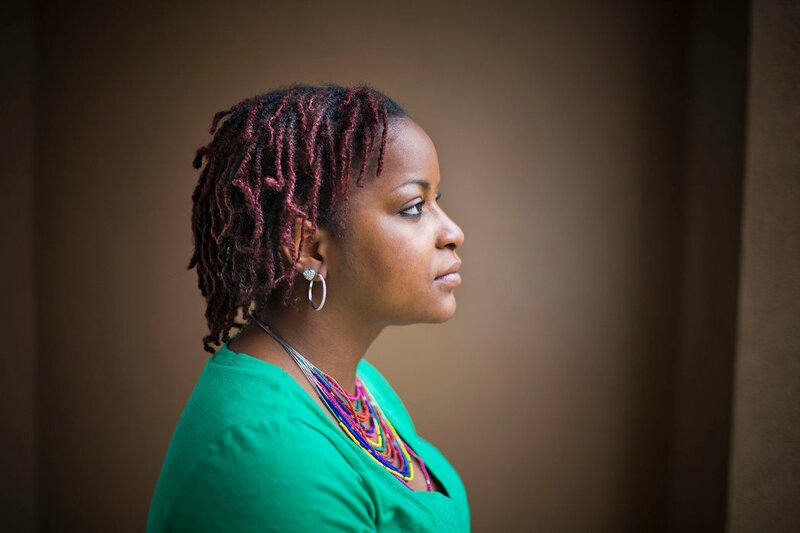 About the author: Ghanima is an African American writer writing for Black Hair Spot. She is Fulani, Cherokee, Irish and whatever-else-we-couldn’t-trace American! Check out more of Ghanima’s hair topics on her Twitter account. 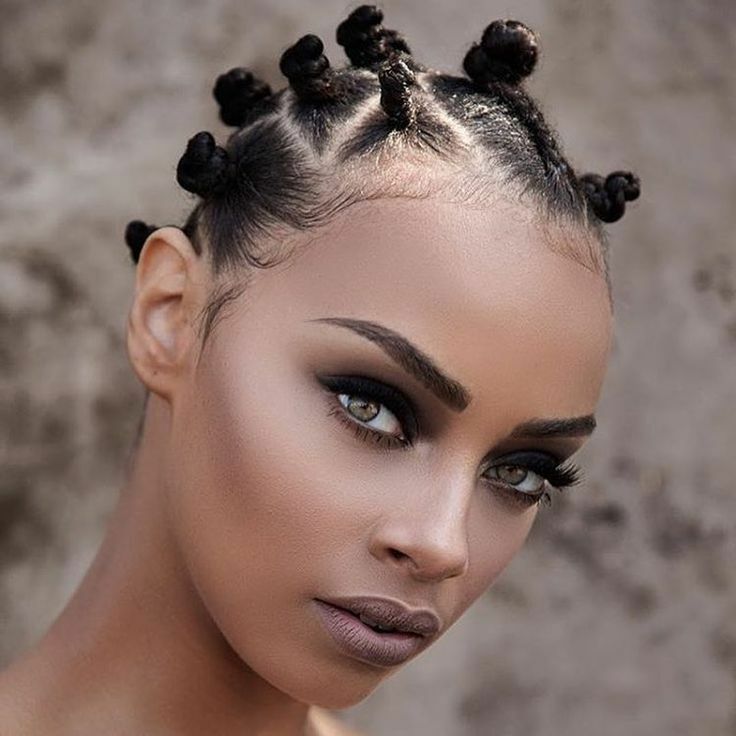 https://blackhairspot.com/wp-content/uploads/2018/03/logo-1.png 0 0 hairnbyutwriter https://blackhairspot.com/wp-content/uploads/2018/03/logo-1.png hairnbyutwriter2017-12-23 00:11:272017-12-23 00:12:25What does Natural Hair mean to You? Conditioner Only Washing, or co-washing, is meant to give you all the clean without the squeak. All of you clean freaks know what I mean by “the squeak” – that effort we make to cut the grease, or oil factor, in whatever it is we’re trying to get clean. That may be fine for your dishes, and even your floors, but you need to give your hair a miss when it comes to that. When hair is squeaky clean, you’ve managed to strip away all of your natural oils, leaving your hair depleted and dry. Part of the no-poo movement, co-washing was suggested to minimize the dry cycle that some shampoos create by eliminating the shampoo phase altogether. Since conditioning has traditionally been viewed as the “loving your hair” phase of hair maintenance, it made sense to apply all of the love and avoid all that dries. If you have thick, dry or coarse curly hair, co-washing may be just what you need to combat what plagues you. Curly hair, whatever size the curl, is naturally dry due to the fact that sebum cannot easily travel through the bends and down the hair shaft. Using conditioner as a cleanser will add the moisture you’ve been missing to your hair care routine. Whatever your hair type, if thirsty hair is your greatest concern, co-washing may be just what you’re looking for. If you happen to have fine hair, it will require a less heavy application of conditioner and potentially a more thorough rinse. Fine hair can’t take the weight of heavy conditioners like coarse hair can. Diluting your conditioner with water may also make co-washing fine-hair friendly. Be sure to read the labels and use the conditioner that is best suited to your hair type. Using the wrong product may give you less than favorable results. When you first start co-washing, be prepared for your hair to feel different during wash mode. Due to the nature of conditioner, you’re not going to have the bubbles and suds that you’ve grown accustomed to. Somehow those suds became a subliminal indicator that your wash cycle was complete when they overtook your tresses. With that missing, you now have to be thorough as you work your fingers through your roots. First, you want to thoroughly wet your hair in preparation for the conditioner. You will be using the conditioner like shampoo, so expect to use more than usual. You will want to coat the hair from root to tip and gently massage your scalp to free up any debris. Let it sit on your hair and scalp for 5 to 10 minutes before rinsing. Leaving it on for a prolonged period of time is like giving yourself a hair mask. Adjust the time to suit your individual hair needs. Finally, rinse your hair and style as usual. If your hair habit normally includes a leave-in conditioner, you may want to do a light rinse so that you can retain some of the co-wash conditioner. Due to the gentler cleansing agents found in conditioners, there is a distinct possibility that build up may occur with the adoption of this method. When you see these signs, it’s time for a clarifying shampoo to rid your hair of the excess. LIke most things in life, there are positives and negatives. Equally true, what’s good for someone else is not always good for you. With that in mind, let’s look at the pluses and minuses of co-washing so you know what to expect before you give this a try. Because conditioner has a more gentle cleansing agent, it will not strip your hair of natural oils and retain more moisture content. Co-washing can make the detangling process easier. With added moisture to your normally dry hair shaft, your hair will become more pliable and thus limit the amount of breakage. This method can encourage more bouncy and voluminous hair. Styling may be easier since it removes that awkward too-clean-to-style phase. It’s often difficult to get your hair to respond the way you want when it’s too clean. Over-moisturized hair can be prone to breakage. Remember your hair is actually dead once it grows beyond the follicle. If it becomes damaged, there is no regeneration. All you can do is grow it out and replace it with healthier hair. As such, your damaged hair can break with the weight of the product left in or on the shaft. Too much build up can make your hair unresponsive to styling. There is a fine line between that hair that styles like a dream and too dirty hair that continually falls flat. You will need to wash more often because you are no longer using shampoo. For those of you that often experience a time crunch, adding extra wash days into your normal routine may not be ideal. Healthy hair growth requires a clean, unclogged scalp. If you are not diligent in your cleansing, you may negatively affect your hair’s growth cycle. Co-washing is not for everyone, even if you have moisture-deprived hair. It could be the application of the technique or just the technique itself, but you may discover that co-washing fails to give you the results you crave. It’s important to listen to your hair and be aware of how it responds to any change in your routine. Finding the right balance in your hair care is key to getting the hair you want. Let us know your personal experiences with co-washing in the comments below. Share your successes and failures with us. I’m a bit of a hippy. One of the reasons I love natural hair so much is because to me, natural hair feels closer to just being human. I like to embrace my humanness in ways that sometimes make people uncomfortable. My edges are never “laid.” I usually don’t shave my legs or wear make-up because—why deny my beautiful humanness? For the same reason, I never used to detangle my hair. What’s wrong with a few knots here and there? Well, if you want to retain length there is a whole lot wrong with it. Our hair regularly sheds. If we leave the dead hair in with the living the dead hair tangles around itself and adjacent hairs and causes matting, knots, and breakage. Proper detangling requires patience. If you get in there with your fingers or a wide-tooth comb and start hacking away you will damage your cuticles and create split ends. When I detangle I start by braiding or twisting my hair into manageable sections. This time I was feeling especially patient and separated my hair into nine sections. Depending on how thick/long your hair is you can separate into more or less sections. I usually only detangle my hair in the shower during my weekly hair wash. I try not to manipulate my hair when it is dry because I find I lose more hair that way. For this how-to I will skip over the washing process and focus on my detangling method. Undo your first section. Get it wet with either a spray bottle or in the shower. Put conditioner in your hair from base to tip. I use the Saje organic conditioner—find a store near you here. Cover your strands in conditioner. This nourishes your hair and gives it slip to encourage the loosening of knots. Use your fingers like a comb to detangle hair from root to tip. Yep, that’s right—All I use to detangle are my fingers. I used to swear by the wide-toothed comb, but my stylist made me promise to never put a comb to my head again.Even wide-tooth combs cause excess breakage for my hair and stunt growth because the wide-tooth comb can’t feel my knots. Only I can. Detangling tools are not connected to a brain and therefore do not know when to let up and try separating in a different way. We have not yet invented a tool that can adjust the amount of pull depending on the strand of hair. But my fingers can, and they work, so I use them. Start separating your hair and GENTLY remove all the knots. Be sure to wash off shed hair from your fingers as you go. This is to ensure you are not putting the shed hair back into your living hair to create tangles and breakage.Continue combing fingers through your hair until there are no knots and your fingers come out clean (without shed hairs) when you run your fingers through your hair. Braid/twist your hair back up so that it cannot knot again. Start the process from the beginning with your second section. When you have finished detangling and retwisting/rebraiding each of your sections, feel free to wash outI’ve said it once and I will continue to say it: every person’s hair is different. This is my favourite way to detangle my hair. It doesn’t hurt and I find I lose the least hair this way. HOWEVER if this method is not giving you good results and you find that you’re losing even more hair, stop doing it this way and try something else. Do you detangle your hair when it’s wet or dry? Do you use any tools other than your fingers? For all the curly-haired ladies out there, I’m sure some of you can relate to this quote on some level when it comes to the relationship you have with your hair. A good shampoo and conditioner seemed sufficient at one point: slap those onto wet hair, rinse out, and go to town, but the more time I spent caring for my hair I realized that wasn’t enough. Often times we dedicate a whole day to the cleansing ritual of our hair. While your routine may be similar to another person’s wash routine your routine should not be identical to anyone else’s, because your hair is not identical to anyone else’s. If you have a head full of natural hair like mine, washday can be intimidating. When reintroduced to water, tangles and knots can turn a day meant to be about pampering to one of frustration. When we wash our hair we want it to be clean, but not dry. Shampooing your hair can strip it of moisture and leave you with dry hair. Avoid shampoos that contain salt, propylene glycol, and parabens. Prepare your hair for the wash. Section your hair off into four or more parts and apply your pre-poo. A “pre-poo” is an oil treatment added to hair before shampooing or conditioning. In most cases doing this before exposing your hair to potentially harsh shampoos can help provide your hair with a little extra moisture. Depending on how often you wash your hair this step may not always be necessary, but because I generally wash my hair once every two weeks I opt to do it every time. To do this I prefer to use extra virgin olive oil, or something I’ve mixed up; it’s generally pretty cheap and does the trick. Here are a few of the different treatments I’ve found online that can be used: pre-poo recipes. After applying the treatment to damp hair I cover it with a plastic grocery bag or cap and leave the treatment in my hair for at least thirty minutes. Once you’ve applied your oil treatment of choice, start detangling your hair in the sections that you’ve created. Doing this should make managing your hair at least a little bit easier after the wash. Depending on what I’ve used as a pre-poo treatment, I’ll wash it out of my hair first with water if it’s of a heavier consistency, but if it’s a oil, I shampoo normally. Shampoo your hair. Based on how long and thick your hair is you’ll need a different amount of shampoo to work through your hair. I generally use a very small amount of shampoo to get my hair clean. 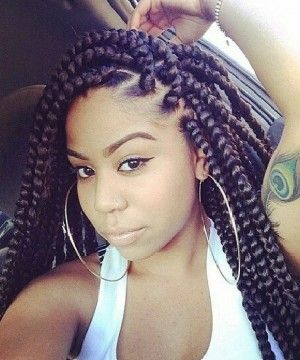 When shampooing your hair work it into the sections that you made by loosening the braid or twist one at a time; focusing on that particular section and re-twisting it back up before moving on to the next. As you do this make sure you work on massaging the shampoo on your scalp to ensure that it becomes free of product buildup. Work the shampoo through the hair and try to elongate the strands rather than rubbing them to the scalp. This prevents tangles. To condition your hair continue using the same method. Be generous with the amount of conditioner you use, elongate the hair, work in sections, and rinse. When drying your hair squeeze out as much of the water as you can before towel drying; as much as possible, avoid rubbing your hair with your towel (try hair plopping!) 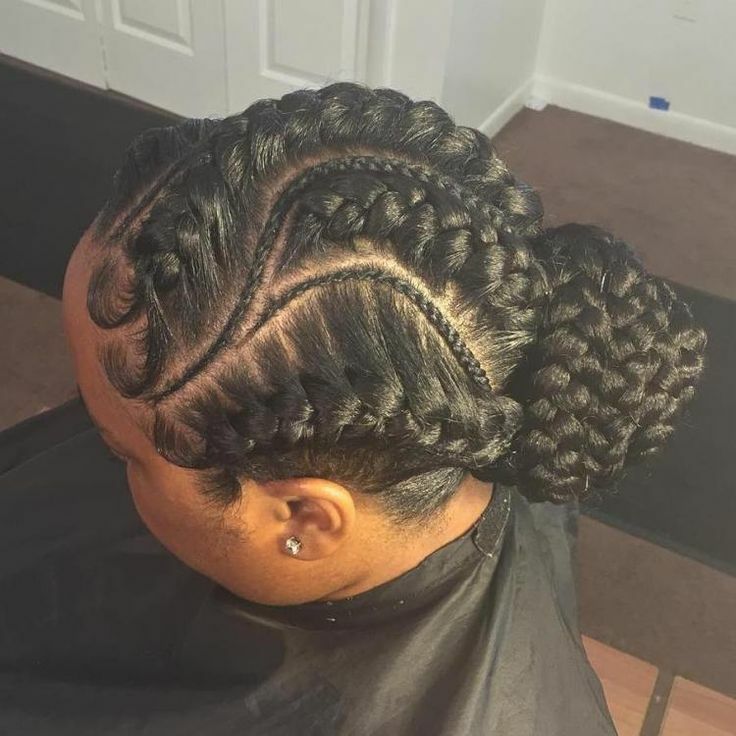 — especially if you’ve chosen not to braid or twist your hair in sections. This will help to prevent tangles. I know a lot of naturals prefer to use sulfate-free shampoos, but to date I have not tried using any of these products. However, because I do use shampoos that contain sulfates I only wash my hair with shampoo once every two weeks. If I choose to wash my hair between my scheduled washdays I usually co-wash it, which is a method of cleansing the hair with conditioner. What does your hair washing regime look like? And that’s just it folks. Sometimes all that those frizzy or crunchy bits need is a little spritz of the sustenance of life. Though it doesn’t necessarily provide a long lasting frizz control solution it works wonders with already pre-moisturized or oiled hair. The water re-vamps the oils already applied and voila you’ve got day-after-a-shower curls without having to re-apply any oils or products. I don’t suggest re-applying oils to crunchy or dry hair anyways because oils primarily should be used after applying water or other moisturizers. Then you get the stringy look going on and it’s no good for anyone involved. If you don’t mind the very thick smell of coconut this is probably the most lasting oil I use in my hair. From my experience coconut oil keeps my hair well oiled for as long as two or three days after initial application. That being said it also depends on what state your hair is in when applying the oil. My favourite way to apply it is right after a shower with my hair still quite drenched. I usually work it through my hair and then towel dry it until it’s damp enough to let it air dry. I usually will apply a slightly better smelling serum or Argan oil blend to mask the coconut smell. Because coconut oil is a bit of thicker consistency I would suggest working it into your hair with water or when the hair is damp just to dilute the viscous nature of it. Putting the thick oil into dry hair will not give you the hold or desired curls that you want in most cases. Oil is a great sealant for your scalp but it is much harder to work in when the hair is a few days away from a wash. Now, if you are a few days from a wash and your hair is feeling like dreadlocks and all you have is some coconut oil, just use a spray bottle of water and wet your hair as much as possible without it dripping. Work the water through your hair first and then apply the coconut for hold. From my experience this has been a great fix for when I’m going out and don’t have the time to shower. Now if you don’t mind the smell of olive oil around you all the time, I’m going to suggest you get them nostrils checked ASAP. Smell aside, this is another one of my favourite oils to drench my head with for desired smoothness. The only way I have been able to apply olive oil is before a shower. I will usually lightly apply some on my hands and then finger detangle the day’s knots out of my hair, once the hair is finger combed I will literally douse my head in the stuff. Having it drip down your forehead/neck is uncomfortable at first but then you just pick up some toast and use the excess …. oh god, kidding. If the dripping annoys you I’d suggest covering your head with a plastic cap while you let the oil set. The idea being that you let the olive oil moisturize your hair for about a half hour before a shower. The smoothness afterward is worth the discomfort. TRUST. The great thing about avocado oil is that it has a very very faint smell and it’s just as light as olive oil. Applying it to dry hair is always great but I would suggest keeping a small bottle on your person when you go out because the lightness and fluidity of it does not have a terribly long lasting life depending on the dryness of your hair. I like using avocado oil as a reinforcement oil, just to keep frizz under control when out and about for a day. The downside to avocado oil is that it isn’t easy to get your hands on it in places like Edmonton. The only place to date that I have found some has surprisingly been Costco (so if any of y’all know where else I can get some, comment below). Avocados themselves work as amazing pre-shower hair masks! If you’re not tempted to eat the mushy green concoction I would suggest adding things like honey to the mixture and leaving it to sit in your hair for at least a half hour prior to a shower. The smoothness afterwards rivals the olive oil treatment. Now, as much as this is the Top 5 Hair Moisturizers for Natural Hair sometimes I do use a not-so natural hair serum and it works wonders. I will either use a oil blend serum you can pick up in the hair section of any ol’ pharamacy or drug store or one of the magical hair serums from the Face Shop. The Face Shop is a Korean beauty store that sells mostly face and skin products but it has a very small collection of hair care products and both serums they sell work wonders on my right-after-a-shower-air-dry-curls. One of the serums is by a brand called Essence and States it is for more damaged hair, the other is by the Face Shop brand and both “smooth’s and coats” the hair. Personally both serums have worked out remarkably similar for me so I couldn’t suggest one or the other. The consistency of these serums is slightly more viscous than a runny oil don’t let this fool you! This stuff does get dry pretty quick but I would not suggest applying more once this happens, just spritz or run some water on your hands and through your hair to re-activate the serum. This stuff can go from moisturizing to string-inducing very quickly!